Organisers of conferences and events say in their feedback that David inspires, enlightens and entertains their audiences. 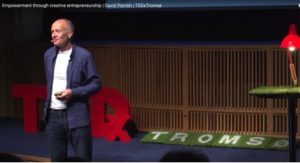 As a creative industries keynote speaker, David brings his own experience of working in the creative industries, along with success stories from his clients around the world to his speeches and presentations. David has delivered keynote speeches around the world. He has spoken at conferences, conventions, forums, summits and other events for the creative industries, the digital economy, the cultural industries, the creative economy, the cultural economy and the ‘Orange Economy’. His clients are business support agencies, conference organisers, government departments, events organisers, creative hubs, business centres, co-working spaces, professional associations, public sector agencies, commercial companies, government ministries, NGOs, charities, city councils and universities. David has given talks and participated in panel discussions and round table debates. 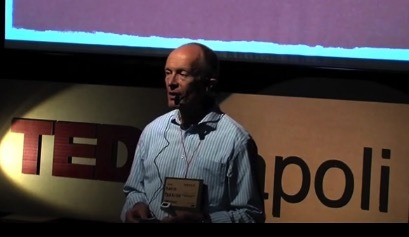 He has also presented masterclasses, lectures and TEDx talks. David is a popular inspiring and entertaining keynote speaker at conferences and events world-wide. He is one of the most respected international creative industries keynote speakers. David is a motivational speaker and inspires audiences about creative enterprise, the creative economy, the creative and digital industries, the digital economy, cultural enterprise, the cultural economy and creativity in business. As a qualified marketing expert, David speaks about creative marketing, international marketing, marketing strategies and international business. 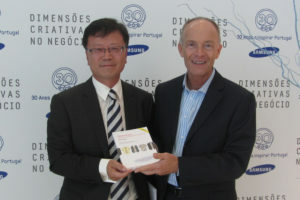 Keynote speaker David Parrish with Sam Lee, President of Samsung Portugal, at Samsung event. – Eloise van Wickeren. Film Commissioner at the Ministry of Economic Development in Curaçao. Business Growth in the Creative and Digital Industries. Defining growth in new ways in the digital era, avoiding the pitfalls of the ‘industrial age mindset’. New business models for economic growth based on licensing intellectual property, reaching new markets online and the sharing economy. How to be a Creative Entrepreneur. Combining creative passion with smart business techniques to achieve greater success in the creative economy. Examples from around the world featuring successful creative entrepreneurs. How to use the best business methods that fit with your values and objectives. Business Success in the Creative Economy. In the creative industries and the Digital Economy, businesses of all sizes and stages of development can achieve the success they envision. This presentation includes stories and case studies from David’s experience in advising and inspiring businesses worldwide. Marketing Strategically. How to increase sales and profits by focusing on the right kinds of customers. This involves deliberately avoiding some market segments, based on an analysis of competitive advantage. Strategic marketing in the creative economy. How to Profit from Creativity in Business. How to use both ‘a-Creativity’ and ‘i-Creativity’ to increase profits. The effective use of creative business models within the creative industries and other business sectors. Business creativity in the creative sector and elsewhere. What we mean by a-Creativity and i-Creativity, with examples from business sectors world-wide. Culture and Tourism. How the cultural sector can work hand in hand with the tourism industry for mutual benefit. How cultural tourism can help both economic development and cultural enterprises in a city or region. How to Make Money While You Sleep. Creating, protecting and licensing intellectual property to generate new income streams. Making money from creativity combined with smart business thinking. How to design a creative business to generate scalable income streams. New Business Models in the Creative Industries. Innovative ways to raise finance, engage with customers and sell creative products and services. How digital and cultural enterprises can use creative business models. Crowd-sourcing, exponential growth, crowdfunding, co-opetition. Inspiring international examples. The Creative Economy World-Wide. The impact and potential of the creative industries on economies and societies throughout the world. 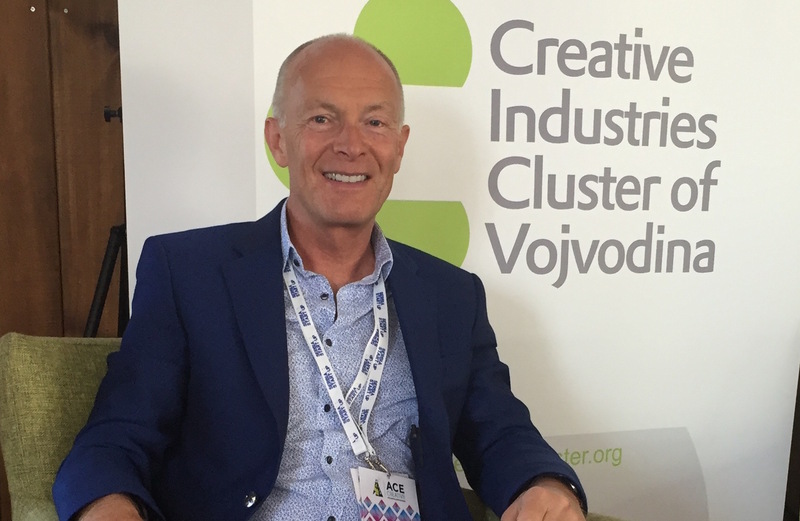 David shares his experience of the UK’s creative industries. He also offers ideas and inspiration from creative entrepreneurs world-wide. Leading and Managing Creative Teams. How to increase performance using six leadership styles. How to inspire and manage creative people. Leadership and management in businesses and organisations in the creative economy. Success in the Digital Economy. ‘Creative Business in the Digital Economy’. Innovative business models used in the Digital Economy. Includes examples from successful digital businesses worldwide. T-Shirts and Suits: Creativity and Business. How creative entrepreneurs integrate their creativity with smart business thinking. Examples of how enterprises achieve business success in the creative economy. Suitable for high growth businesses as well as startups in creative hubs. International Business. Successful marketing across national and cultural boundaries. Understanding and using business etiquette and conventions. How to avoid expensive mistakes. Lots of international examples. Amusing stories included! a-Creativity and i-Creativity for Business Success. How both kinds of creativity can be used in harmony to achieve success in business. Examples from around the world show how creative business models can help enterprises in the ‘creative industries’ and indeed in all business sectors. Marketing and Communication. Designing effective communication at corporate, management, team and interpersonal levels. Creative communication in the context of strategic marketing. Authentic Marketing. The best marketing is not a ‘bag of tricks’ but a philosophy of creating win-wins with carefully selected customers. The power of authenticity in marketing. Creative marketing combined with smart business strategy. The Art and Science of Communication. How to use a powerful combination of art and science to communicate effectively. Examples of how this combination works in the creative economy and other sectors. Enlightening examples from David’s work in the UK and world-wide, taking into account cultural factors and international challenges. Innovation and Creativity for Startups. Creative business models to be used in the business office to complement creativity in the studio. How startups can profit from innovative business techniques. How creative hubs can best support startups in creative cities and elsewhere. Entrepreneurship in the Arts. How arts organisations and cultural organisations can become financially self sustaining at a time of cuts to grants for the arts, whilst keeping true to their artistic mission and values. Examples of cultural entrepreneurs who combine their artistic passion with smart business thinking. David can speak on a wider range of subjects as a motivational speaker and more topics are listed on the TEDx Speaker page. David is a creative industries expert. He is a creative industries keynote speaker at conferences and other events for creative, digital and cultural enterprises, policy makers, creative industries support organisations, creative hubs, creative startups, creative cities, and creative businesses in other sectors. 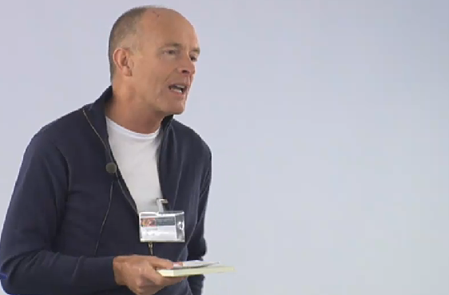 He brings his experience of working with design, media and technology businesses to his speeches and presentations. David remains in touch with business issues and innovative growth models through his work as a business adviser, leadership coach and marketing consultant. 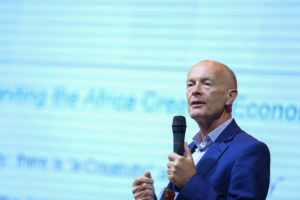 As a creative industries keynote speaker he includes examples of successful creative businesses and creative industries support projects worldwide. Some of these case studies are published as ‘Ideas in Action’ articles in his books. Many are also available as free downloads from his website. 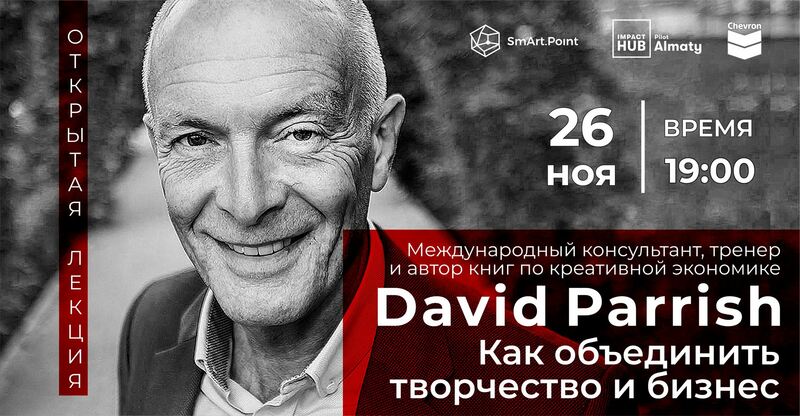 David continuously increases his knowledge of business models, marketing methods and international business techniques from his ongoing international work. 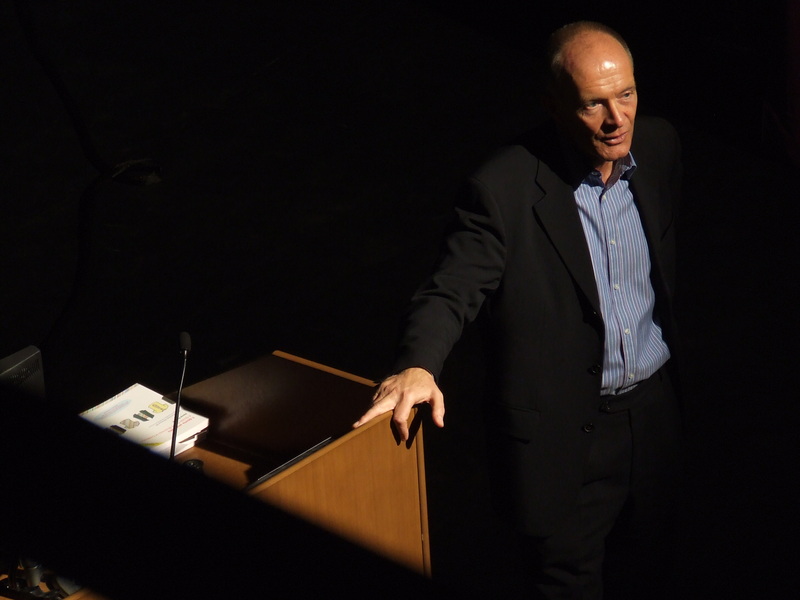 David often gives speeches and presentations on the subject of International Business. 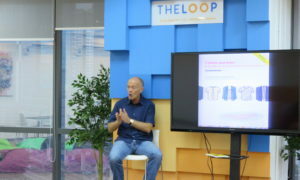 He speaks about international marketing, business etiquette and global business. His stories and case studies draw on his own extensive international experience, creative industries consulting and research. David is an expert speaker on creative entrepreneurship. 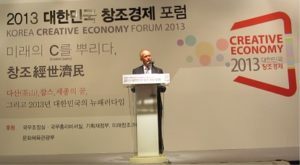 He speaks about the Creative Economy and the Digital Economy. He gives presentations about creative clusters, creative industries business support and cultural industries projects. His speaking topics include business models in the creative industries, digital economy business models, the cultural economy and creative marketing. He speaks with authority about international creative collaborations, creative business techniques and intellectual property licensing. He also makes presentations about other business issues in the creative industries. In his capacity as a creative industries keynote speaker he speaks at events and conferences for creative hubs, creative clusters, incubators, accelerators and creative work spaces and coworking hubs. An experienced creative industries keynote speaker, David speaks at conferences, corporate events, and forums. Also at summer schools, creative hubs, startup events, and creative cities conferences. 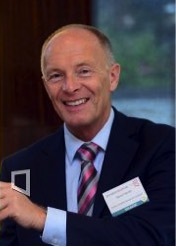 His clients include confex events, trade shows, launches, international summits and conventions. He also gives speeches and presentations at executive meetings and management conferences. He makes presentations at company events, promotional events, and staff conferences. 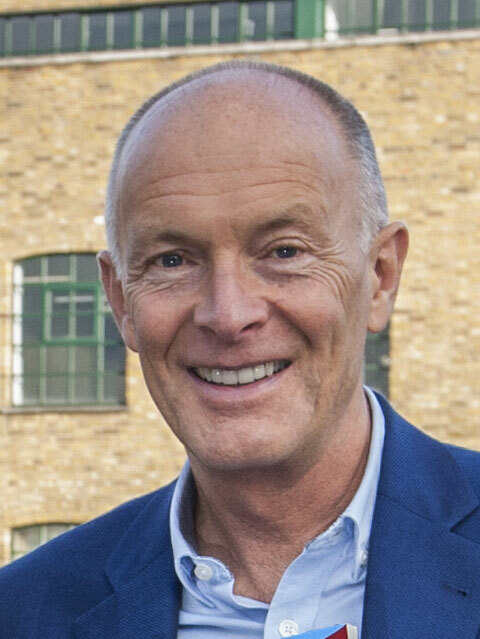 David has been a guest speaker at “away days” and “management retreats” for company directors, senior executives and at corporate strategy events. 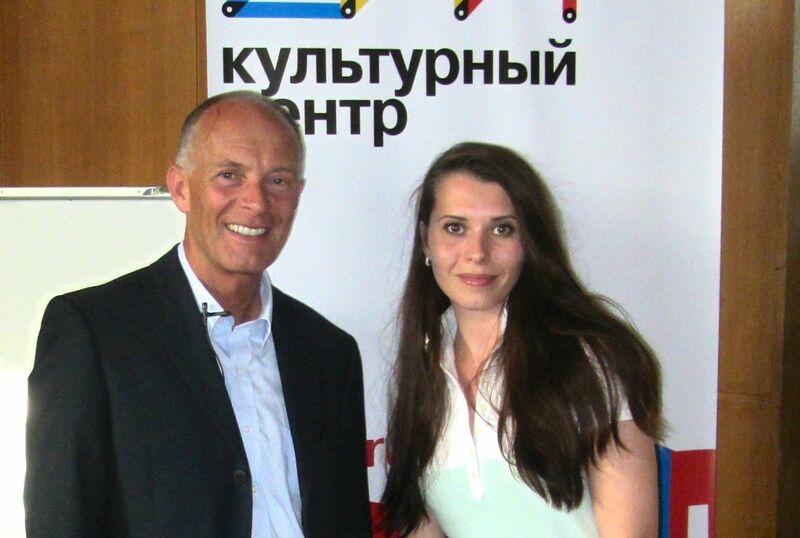 He is often invited to be a guest lecturer at university business schools. 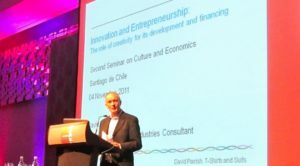 As a Creativity Consultant he is a keynote speaker on ‘How to Profit from Creativity in Business’ and other topics related to creativity in business. David is the author of two books on creative entrepreneurship. His books have been published in translations in nine countries around the world and in a range of formats including audiobooks. His books can be available at your event when David is a keynote speaker. Contact David for more details and to make arrangements. 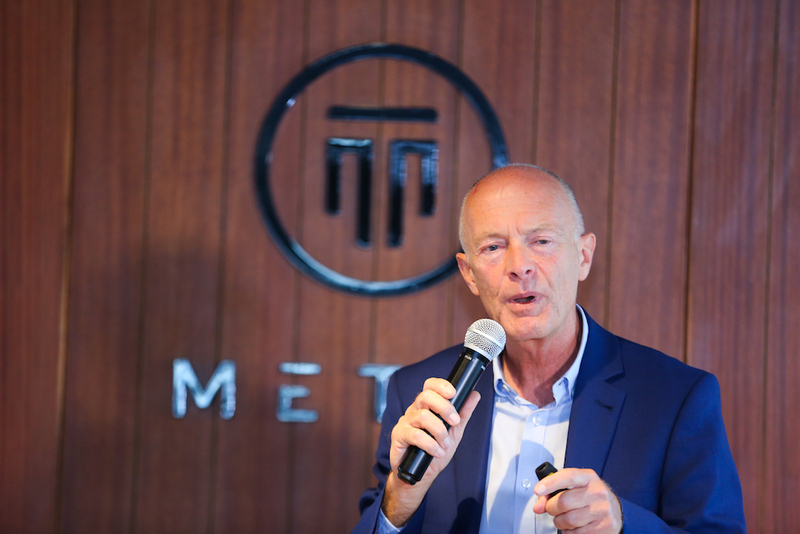 See the Media Pack summarising David’s expertise and track record as a creative industries keynote speaker, testimonials from clients about his speeches, presentations and lectures, plus a range of topics on which he can speak. Contact David directly or through his offices to book him as your speaker. 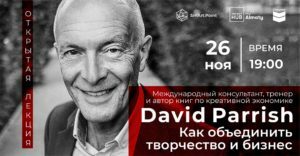 David is a world-class international creative industries keynote speaker at conferences, conventions, forums, summits, exhibitions, launches and other events. He speaks on a wide range of topics and themes relating to creative business, business growth, creative entrepreneurship, business models in the creative industries, intellectual property and licensing, raising finance, leadership and management. David has international experience and expertise in business strategy, marketing, communications, international business, strategic marketing, creativity and entrepreneurship. As a specialist creative industries keynote speaker, business consultant and author, he has worked in more than 50 countries around the world. 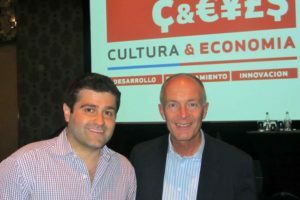 David is in demand internationally and frequently speaks to audiences of creative businesses and cultural entrepreneurs. 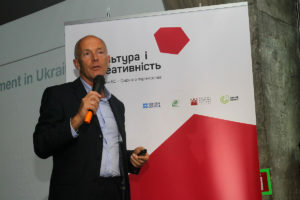 His audiences also include professionals involved in supporting creative industry development, including economic development agencies, government ministry officials, creative business advisors, digital economy debates, cultural economy conferences, creative hubs, incubators and workspaces, creative business support organizations and arts development institutions. – Liang Junhong. British Council Beijing. China. 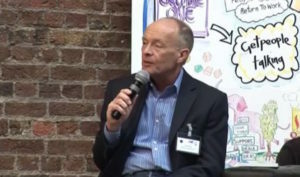 David’s keynote speeches feature ideas he has written about in his books and articles on business growth and strategic marketing, including pricing, finance, intellectual property, new business models in the creative industries, leadership, marketing techniques, competitive advantage, organisational structures, exponential growth, financial management, international business and other business topics. His talks draw on his own story, personal experience and case studies from hundreds of businesses he has helped around the world. David is an informative, inspiring and entertaining creative industries keynote speaker. 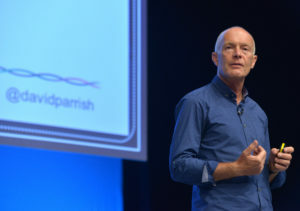 See some examples of David Parrish speaking at conferences in Colombia, Italy, England, Norway and Denmark on Vimeo and YouTube. Some conferences and events at which David has been invited as a creative industries speaker are listed below. 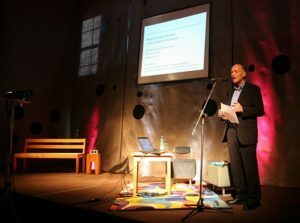 He is also often invited to give presentations, talks and workshops for a range of different organisations and events. David also occasionally delivers academic lectures at business schools as a university guest lecturer. International Creative Industries Conference in Serbia. Startup Malaysia. Presentation on Innovation and Creativity for Startups. Talk to digital startup entrepreneurs in Kuala Lumpur. GrowthAccelerator. The UK’s premier business growth programme. Now part of the Business Growth Service. Presentation on Strategic Marketing for Business Success for high growth businesses. Presentation on Creativity and Enterprise. Creative startups, creative hubs and business growth. 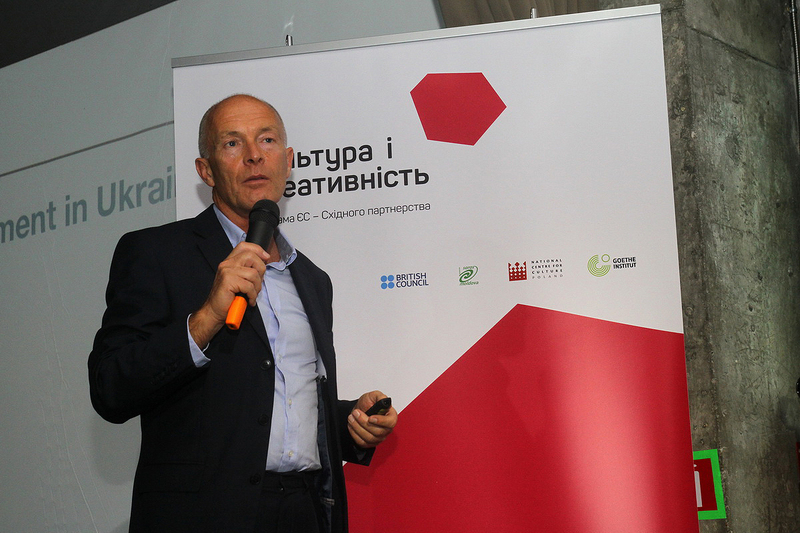 Speech on business models based on intellectual property for design businesses. See more examples below of David’s speaking in China, South Korea, Finland, Brazil, Italy, Vietnam, Colombia, Morocco, Malaysia, Norway, Ukraine, Serbia, Saudi Arabia, Azerbaijan and the Netherlands. – Olga Kizina. Director. Creative Industries Agency. Moscow. Russia. – Delia Yapp. Shropshire Council. England. David is the author of the highly-acclaimed book and eBook ‘T-Shirts and Suits: A Guide to the Business of Creativity’. His approach to business development combines creative people [“T-Shirts”] with smart business thinking [“Suits”]. His new eBook/paperback is ‘Chase One Rabbit: Strategic Marketing for Business Success’. See videos of David Parrish delivering speeches as a creative industries keynote speaker. For example: Creativity and Business; TEDxNapoli speech on “a-creativity:i-creativity”; speech on creative entrepreneurship at the International Finals of the Creative Business Cup in Denmark; and his TEDx talk in Tromsø, Norway. He speaks with authority as a creative industries keynote speaker about creative entrepreneurship, creativity in business and a range of management subjects relevant to the creative, digital and cultural industries. Marketing, business growth, leadership, business strategy, intellectual property, new business models and international business and raising finance are included in his speeches and presentations. 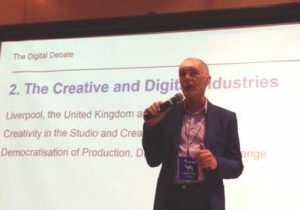 David is often invited to speak at creative industries conferences world-wide and to make presentations to creative entrepreneurs and business support organisations. He specialises in inspiring entrepreneurs with examples of how creative people can use smart business thinking to make their creative enterprises even more successful. As a creative industries keynote speaker at creative economy summits, he speaks about his own experiences as an entrepreneur and the successes of hundreds of creative and digital businesses he has helped throughout the world in his role as a specialist creative industries management consultant and trainer. Conference organisers and creative industries summit audiences say that David is an inspirational speaker on enterprise in the creative industries. He specialises in helping design, media and technology businesses in the creative and cultural industries. He does this in his capacity as a creative industries keynote speaker, consultant, coach and trainer. 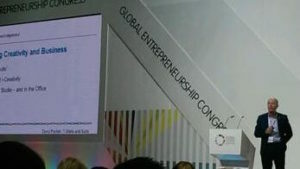 David is in demand internationally as a keynote speaker on creative entrepreneurship and the creative economy. He is a world-class creative industries keynote speaker. As a popular creative industries keynote speaker, he gives speeches about new business models in the creative industries, strategic marketing, international business, protecting and commercialising intellectual property, leadership, business planning, enterprise development, business growth, raising financial investment, the creative economy, creative industry development, creative entrepreneurship and other aspects of business management relevant to creative and digital enterprises. 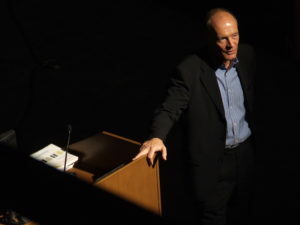 As a creative keynote speaker he gives presentations on a wide range of business topics. Speech about New Business Opportunities in the Digital Age for Audio Visual and other creative and digital enterprises. Lecture on “How to be a Creative Entrepreneur” at the Baltic Film, Media, Arts and Communication School at Tallinn University, Estonia. 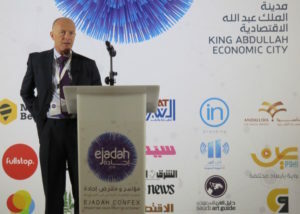 International Keynote Speech on the Creative Economy Worldwide at the Ejadah Confex in Saudi Arabia. 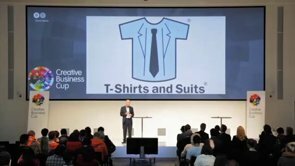 Speech about ‘T-Shirts and Suits’ at the International Finals of the Creative Business Cup in Copenhagen, Denmark. 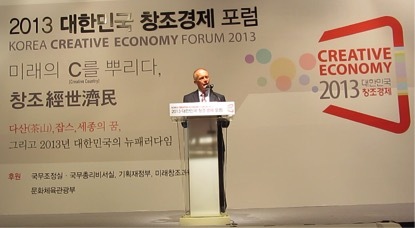 Keynote speech on “Creativity and Business”. Samsung Conference. Lisbon, Portugal. Wintec Media Arts, Waikato Institute of Technology. Hamilton, New Zealand. Baku State University, Azerbaijan Republic. “Creativity, Business and How to Make Money While you Sleep” at British Council ‘Management Express’ event, Harare, Zimbabwe. Presentation on ‘Business Growth in the Creative and Digital Industries’ at Innovation Center Kosovo (ICK). Massey University College of Creative Arts, Wellington, New Zealand. TEDx Napoli. Speaker on “a-Creativity : i-Creativity”, Naples, Italy. Special event for creative businesses in Cuiabá, Mato Grosso State, Brazil. Encuentro Internacional de Economía Creativa, Valparaíso, Chile. ABEDESIGN (Brazilian Association of Design Companies), São Paulo, Brazil. Media & Message conference for TV producers. Finland. Guest speaker on ‘Making Money While You Sleep’ at Cornwall Business Club. Guest lecturer at opening of Creative Industries Management Masters programme. Universidade Católica Portuguesa. Porto. Portugal. ‘Innovate or Stagnate’ conference, on the platform with Google and Apple. Biskaia Creaktiva. Creativity Zentrum. Spain. Shanghai Creative Industry Week, China. Speaker on creative industries at the University of Bogotá Jorge Tadeo Lozano, Colombia. Det Bobler! Conference. Drammen, Norway. Mötesplats Mode&Design, MM&D. Stockholm, Sweden. ‘Creative Ambition 2’ Conference. Birmingham. Enterprise Centre for the Creative Arts (ECCA), University of the Arts, London. Marketing and Advertising Global Network (MAGNET). 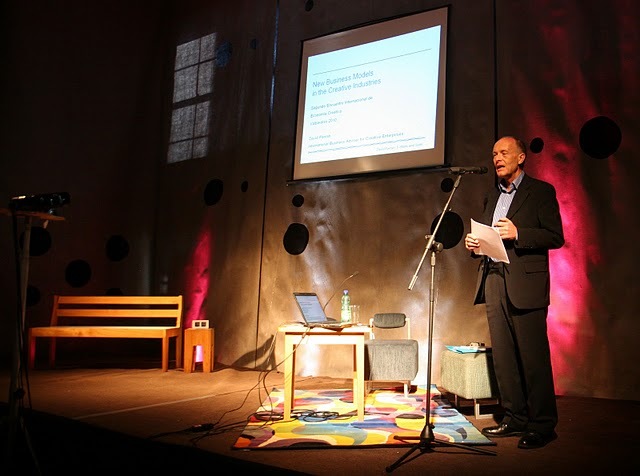 Guest speaker at international conference in Munich, Germany. CMKBU: University of the Arts in Utrecht, Netherlands. ‘Supporting Creative Industries’ conference, Liverpool. ‘Creative Clusters’ Conference in Belfast, Northern Ireland. Taiwan International Cultural and Creative Industries Exhibition and Forum. 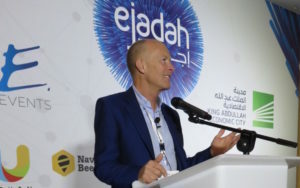 At conferences he is often asked to speak about bringing together creativity and business (‘T-Shirts and Suits’) and how creative businesses and organizations can use the best business ideas adapted to their own circumstances in a way which is consistent with their values and objectives. As a creative industries keynote speaker, David makes speeches about the creative economy, the creative industries internationally, new business models in the creative industries, creative industry development, creative hubs, creative entrepreneurship in creative cities, innovation, marketing, intellectual property, leadership, finance, management and other themes from his book ‘T-Shirts and Suits: A Guide to the Business of Creativity’. A marketing expert, David is the author of the book ‘Chase One Rabbit: Strategic Marketing for Business Success’. As a marketing speaker he gives keynote speeches, lectures, talks and presentation at conferences and other events internationally. He has also presented many seminars, lectures and workshops on subjects such as marketing, business growth, intellectual property, strategic planning, financial management, leadership, change management, pricing and other business issues relevant to creative enterprises. This work complements his role as a creative industries keynote speaker and provides further material for his keynote speeches. David has set up and managed enterprises in the creative industries throughout his career and is an entrepreneur in his own right, as well as a business adviser, trainer and creative industries keynote speaker. He is qualified with a Masters Degree in Business Administration (MBA), awarded ‘with distinction’ from the University of Bradford Management Centre, one of Europe’s leading business schools. David is a Fellow of the Chartered Institute of Marketing and a ‘Chartered Marketer’. He is also a member of the Institute of Business Consulting, a Fellow of the Institute of Leadership and Management, and a Fellow of the Royal Society of Arts. David has worked around the world, in Africa, Asia, Europe, Australasia, South America and North America, specifically in Azerbaijan, Belarus, Belgium, Bosnia & Herzegovina, Brazil, Bulgaria, Canada, Chile, China, Colombia, Croatia, Curaçao, Denmark, Egypt, Estonia, Finland, France, Georgia, Germany, Greece, Holland, India, Indonesia, Italy, Jamaica, Kazakhstan, Kenya, Korea (South), Kosovo, Laos, Lebanon, Lithuania, Malaysia, Moldova, Morocco, New Zealand, Norway, the Philippines, Romania, Russia, Saudi Arabia, Serbia, Singapore, Slovenia, South Africa, Spain, Sweden, Switzerland, Taiwan, Thailand, Turkey, Ukraine, the United Arab Emirates, Vietnam, the USA and Zimbabwe, as well as in the United Kingdom, in his capacity as a business adviser, trainer, consultant and creative industries keynote speaker. For more information and client recommendations about David’s work as a creative industries keynote speaker, see the Speaking and Presentations document on this page. Contact David Parrish’s offices in the UK (London, Liverpool and Manchester) to enquire about David making a keynote speech or being a guest speaker at your conference, convention, expo, seminar, symposium, lecture, meeting, corporate event, product launch, congress, forum, project launch, away day, summit, trade fair, confex, dinner (after dinner speaker) or award ceremony. 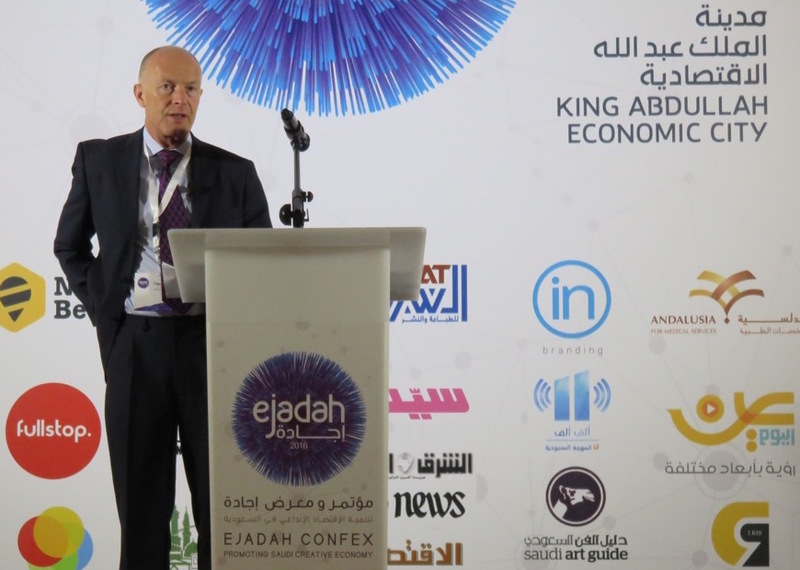 As a creative industries keynote speaker, David works with businesses, conference organisers and creative agencies to provide a keynote speech, training workshop or bespoke consultancy advice. 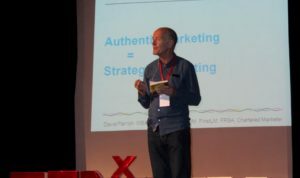 Internationally acclaimed as a creative industries keynote speaker, David also works as a designer and facilitator of corporate and other ‘away day’ events, team building events, government events, and corporate events for executives and senior managers of corporations, companies and organisations. 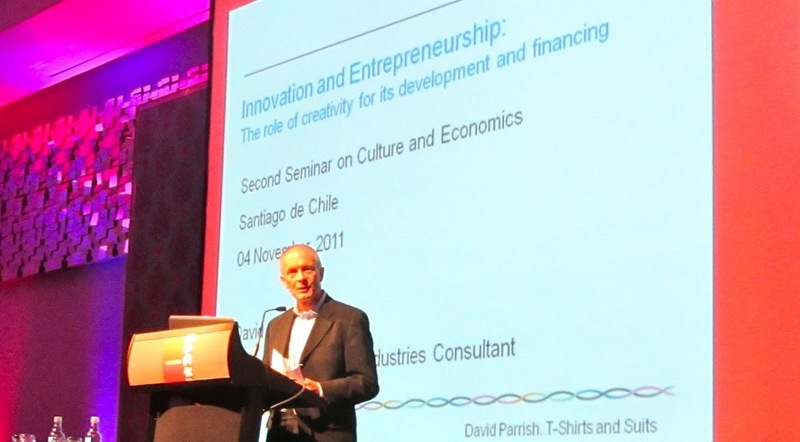 David Parrish is a specialist speaker on creative industry, creative industries, cultural industries, creative enterprise, cultural enterprise, the creative economy and arts businesses. As a creative industries keynote speaker, he speaks on creative entrepreneurship, creative business, creativity in business and cultural entrepreneurship. He is an expert on creativity and business and has been a keynote speaker and guest speaker at numerous creative industries events. An internationally acclaimed creative industries keynote speaker, David can speak at conferences and other events for businesses in the fields of architecture, audio visual, film and radio, TV and broadcasting, publishing, cultural enterprise, arts, culture, heritage, theatre, performing arts, music, crafts, design, advertising, digital agencies, publicity and public relations, literature, photography, designer fashion, computer games, film-making and crowdfunding for creative enterprises. Read client testimonials about David’s speeches and presentations as a creative industries keynote speaker on the Speaking and Presentations document on this page. Afghanistan, Aland Islands (Finland), Albania, Algeria, American Samoa (USA), Andorra, Angola, Anguilla (UK), Antigua and Barbuda, Argentina, Armenia, Aruba (Netherlands), Australia, Austria, Azerbaijan, Bahamas, Bahrain, Bangladesh, Barbados, Belarus, Belgium, Belize, Benin, Bermuda (UK), Bhutan, Bolivia, Bosnia and Herzegovina, Botswana, Brazil, British Virgin Islands (UK), Brunei, Bulgaria, Burkina Faso, Burma, Burundi, Cambodia, Cameroon, Canada, Cape Verde, Caribbean Netherlands (Netherlands), Cayman Islands (UK), Central African Republic, Chad, Chile, China, Christmas Island (Australia), Cocos (Keeling) Islands (Australia), Colombia, Comoros, Cook Islands (NZ), Costa Rica, Croatia, Cuba, Curacao (Netherlands), Cyprus, Czech Republic, Democratic Republic of the Congo, Denmark, Djibouti, Dominica, Dominican Republic, Ecuador, Egypt, El Salvador, Equatorial Guinea, Eritrea, Estonia, Ethiopia, Falkland Islands (UK), Faroe Islands (Denmark), Federated States of Micronesia, Fiji, Finland, France, French Guiana (France), French Polynesia (France), Gabon, Gambia, Georgia, Germany, Ghana, Gibraltar (UK), Greece, Greenland (Denmark), Grenada, Guadeloupe (France), Guam (USA), Guatemala, Guernsey (UK), Guinea, Guinea-Bissau, Guyana, Haiti, Honduras, Hong Kong (China), Hungary, Iceland, India, Indonesia, Iran, Iraq, Ireland, Isle of Man (UK), Israel, Italy, Ivory Coast, Jamaica, Japan, Jersey (UK), Jordan, Kazakhstan, Kenya, Kiribati, Kosovo, Kuwait, Kyrgyzstan, Laos, Latvia, Lebanon, Lesotho, Liberia, Libya, Liechtenstein, Lithuania, Luxembourg, Macau (China), Macedonia, Madagascar, Malawi, Malaysia, Maldives, Mali, Malta, Marshall Islands, Martinique (France), Mauritania, Mauritius, Mayotte (France), Mexico, Moldova, Monaco, Mongolia, Montenegro, Montserrat (UK), Morocco, Mozambique, Namibia, Nauru, Nepal, Netherlands, New Caledonia (France), New Zealand, Nicaragua, Niger, Nigeria, Niue (NZ), Norfolk Island (Australia), North Korea, Northern Mariana Islands (USA), Norway, Oman, Pakistan, Palau, Palestine, Panama, Papua New Guinea, Paraguay, Peru, Philippines, Pitcairn Islands (UK), Poland, Portugal, Puerto Rico, Qatar, Republic of the Congo, Reunion (France), Romania, Russia, Rwanda, Saint Barthelemy (France), Saint Helena, Ascension and Tristan da Cunha (UK), Saint Kitts and Nevis, Saint Lucia, Saint Martin (France), Saint Pierre and Miquelon (France), Saint Vincent and the Grenadines, Samoa, San Marino, Sao Tom and Principe, Saudi Arabia, Senegal, Serbia, Seychelles, Sierra Leone, Singapore, Sint Maarten (Netherlands), Slovakia, Slovenia, Solomon Islands, Somalia, South Africa, South Korea, South Sudan, Spain, Sri Lanka, Sudan, Suriname, Svalbard and Jan Mayen (Norway), Swaziland, Sweden, Switzerland, Syria, Taiwan, Tajikistan, Tanzania, Thailand, Timor-Leste, Togo, Tokelau (NZ), Tonga, Trinidad and Tobago, Tunisia, Turkey, Turkmenistan, Turks and Caicos Islands (UK), Tuvalu, Uganda, Ukraine, United Arab Emirates, United Kingdom, United States, United States Virgin Islands (USA), Uruguay, Uzbekistan, Vanuatu, Vatican City, Venezuela, Vietnam, Wallis and Futuna (France), Western Sahara, Yemen, Zambia, Zimbabwe.